When hiring a web design company to build your business website is similar to hiring a marketing firm. Your business website is the first impression of your company an online searcher see's and it deserves professional treatment. It should relay the message or service your target audience is searching for. We use your marketing message and business branding to achieve this at the top of each page. A well designed site should give the reader exactly what they are looking for without having to click through links to find the information searched for. Your site should be easy to navigate with a clear navigation menu on every page. A good business site dosen't need alot of images and moving parts unless that is what you are selling. Instead it should concentrate on generating leads and or sales which ever your site is geared for. What kind of site are you wanting to build? Do you want a site that presents information as a complement to your brick-and-mortar business or are you planning to invest in an interactive site that features an online store, e-mail subscription forms, a blog, an online catalog, photo galleries, product videos, or other features? How many pages do you think your site will need? If your business offers more than one service, you will want a different page for each service offered. The same applied to products that you may sell. Do you want to be able to update and edit your site’s content without relying on outside help? If you are wanting to keep editing and adding content in house you may need a CMS platform such as Wordpress for your design rather than a site built in Html / Css. How would you describe those you expect to visit your site, and how do you envision them reaching and using the site? This would be your target audience. It is important to know your audience before the design process starts this will help in the targeting and optimizing of your new site. How do you plan to drive traffic to the site? Whether your site is primarily for use by established customers or for reaching new prospects affects how it’s designed and optimized for search engines. It is helpful if you know of some keywords or keyword phrases to be included in your content. SSL certificates keep your site and your clients information safe. We do not sell these templates, we are however affiliates and can use them in your design. 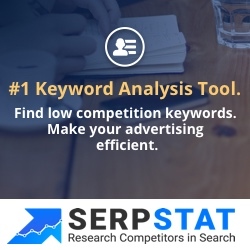 The growth hacking tool for Search Analytics, Keyword Analysis, Content Analysis an More! Using a responsive website design will improve search engine rankings and leads. Content and images can be automatically adjusted to fit the users screen size, and there are work around's so that layouts never break. This type of website development gives us far more options. It is perfect for devices that switch from portrait orientation to landscape in an instant or for when users switch from a large computer screen to an iPad, tablet or smart phone. One benefit of using a responsive website design, compared to setting up a mobile version of your website that is completely separate from your original site, are obvious. Whenever you update your website, it will be updated for every device and display correctly on every screen. You only have to update in one location, where with a separate mobile site would require a separate location requiring updating as well.